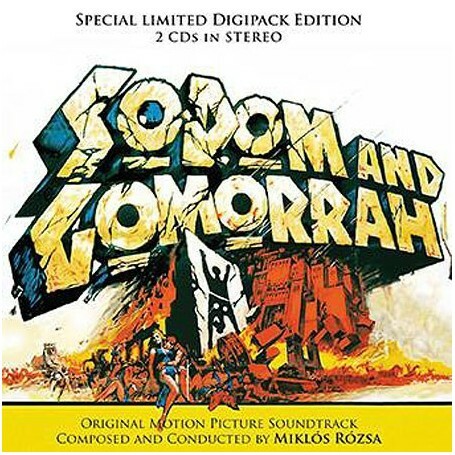 Digitmovies is truly proud to present – after having produced numerous CDs dedicated to great Italian musicians – the first reissue in digipack format of the CD dedicated to the important international musician Miklós Rózsa releasing in a double CD BOX de-luxe edition of the full stereo original motion picture score from the 1962 movie “SODOM AND GOMORRAH” directed by Robert Aldrich (and Sergio Leone as second unit director). 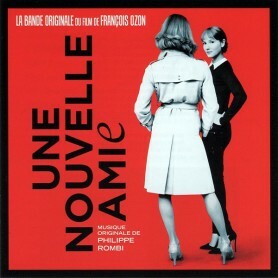 This double-disc set also celebrates the 52nd anniversary of the movie and its musical score. 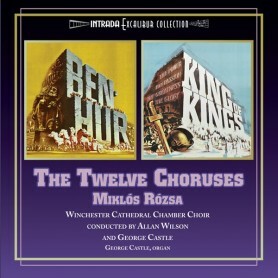 Miklós Rózsaʼs name is closely linked to hundreds of scores for romantic and dramatic cinema exploding effectively during the Golden Age of Hollywood. Miklós Rózsaʼs cinematic debut is connected to the 1937 British production by compatriot Sándor Korda. In fact “Knight without armor” (“La contessa Alessandra”) was the movie that brought both Korda and Dr. Rózsa to Hollywood, where Rózsa scored a row “The four feathers” (“Le quattro piume”) in 1937 and the wonderful Colossal Fantasy “The jungle book” (“Il libro della giungla”) in 1942, both movies directed by Zoltán Korda, brother of the known producer. Rózsa also scored one of the great fantasy films, “The Thief of Bagdad” (“Il ladro di Bagdad”) directed in 1940 by Ludwig Berger and Michael Powell. 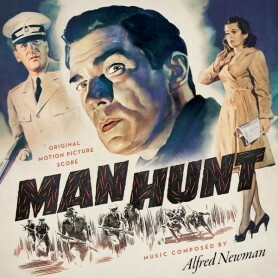 After his first Hollywood works Miklós Rózsa primarily specialized in writing scores for the “noir” genre, scoring such classical movies as “Double indemnity” (“La fiamma del peccato”) directed by Billy Wilder in 1945, “Spellbound” (“Io ti salverò”) by Alfred Hitchcock in 1946, “A double life” (“Doppia vita”) by George Cukor in 1947 (for his scores for these last two movies Rózsa won two of his three Oscars), “The strange love of Martha Ivers” (“Lo strano amore di Marta Ivers”) by Milestone in 1946, “The killers” (”I gangsters”) in 1946 and “Criss Cross” (“Doppi giochi”) in 1949, both directed by Robert Siodmark, “Brute force” (“Forza bruta”) in 1947 and “The naked city” (“La città nuda”) in 1948, both directed by Jules Dassin. For the cinema of Epic genre Miklós Rózsa composed and conducted original scores that are considered as milestones of cinema history. In 1951 MGM hired him for the super colossal “Quo Vadis” directed by Mervyn LeRoy, followed by “Ivanhoe” in 1952, “Knights of the round table” (“I cavalieri della tavola rotonda”) in 1953, both directed by Richard Thorpe, “Young bess” (“La regina vergine”) by George Sidney in 1953, “Julius Caesar” (“Giulio Cesare”) by Joseph L.Mankiewicz in 1953, “The kingʼs thief” (“Il ladro del re”) by Robert Z.Leonard in 1955, “Diane” (“Diana la cortigiana”) by David Miller in 1956, “Ben-Hur” by William Wyler in 1959, “King of kings” (”Il re dei re”) by Nicholas Ray in 1961, “El Cid” by Anthony Mann in 1961 and last but not least “Sodom and Gomorra” (“Sodoma e Gomorra”). Among the other musical comment by Miklós Rózsa the following scores are to be mentioned: “Lust for life” (”Brama di vivere”) directed by Vincent Minelli in 1956, “The world, the flesh and the devil”(”La fine del mondo”) by Ronald McDougall in 1959,“The private life of Sherlock Holmes”(“Vita privata di Sherlock Holmes”) by Billy Wilder in 1970 (director Wilder realized this movie after having the sensational experience while listening to Rózsaʼs “Concerto per violino”, a piece on which the score is based). In the last years of his fabulous career M° Rózsa returned to his most beloved genres: to the Epic/Fantasy “The golden voyage of Sinbad” (“Il viaggio fantastico di Sinbad”) directed by Gordon Hessler in 1974, to the dramatic movies like “Providence” by Alain Resnais in 1977 and “Fedora” by Billy Wilder in 1978, the science fiction “Time after time” (“Lʼuomo venuto dallʼimpossibile”) by Nicholas Meyer in 1979, the noir movies “Last embrace” (“Il segno degli Hanna”) by Jonathan Demme in 1979, “Eye of the needle” (“La cruna dellʼago”) by Richard Marquand in 1981 and the last movie he scored “Dead men donʼt wear plaid” (“Il mistero del cadavere scomparso”) by Carl Reiner in 1982, a comedy but with noiresque touch that recalls the tradition of great American classics for which Rózsa had been the musical soul. Sadly Dr. Rózsa passed away on the 27th july of 1995 in Los Angeles. 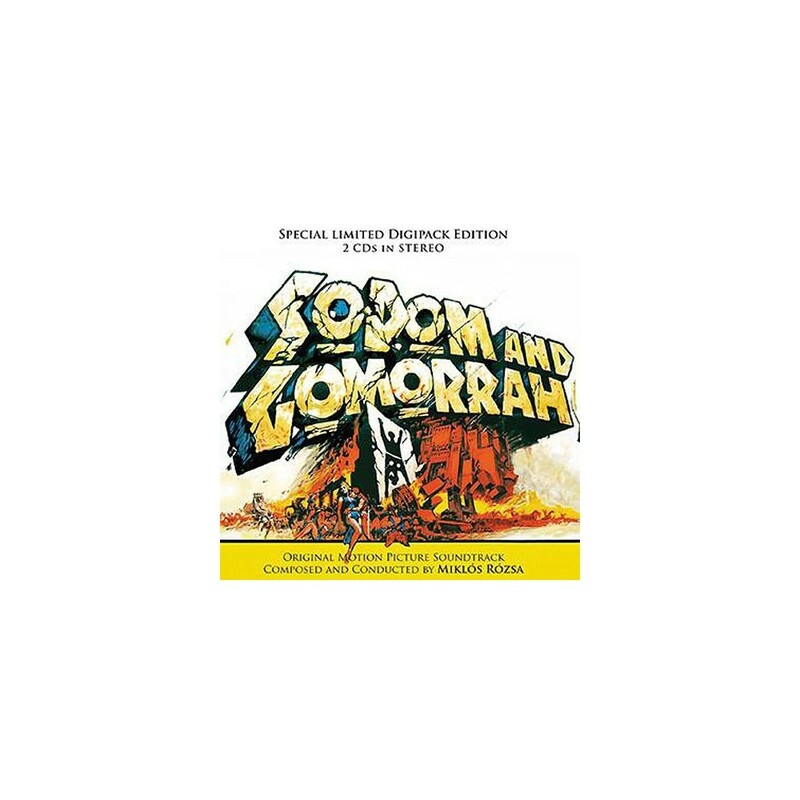 “Sodom and Gomorrah” (“Sodoma e Gomorra”) from the year 1962 is a splendid production by Goffredo Lobardo for Titanus that continues the tradition of the epic cinema of Hollywood. An international cast was hired for this mega production: Stewart Granger (who was not a newcomer for the epic genre since he had already acted in movies like “Scaramouche” from 1952, “Salomè” from 1953 and “Beau Brummell” from 1954) in the role of Loth, head of an Jewish nomad tribe led by him through the desert to the twin cities Sodom and Gomorrah, famous for the lasciviousness and dominated by Bera, a queen of lust for power (Anouk Aimee), Ildith (Pier Angeli), the wife of Loth who becomes a pillar of salt, Astaroth (Stanley Baker), Shuah (Rossana Podestà), Tamara (Scilla Gabel) and other characters interpreted by illustrious names of the Italian Cinema: Ishmael (Giacomo Rossi-Stuart), Melchior (Rik Battaglia), the Captain (Anthony Steffen), Lieutenant (Gabriele Tinti), Arlok (Mimmo Palmara), Maleb (Claudia Mori) and the dancer twins (Hellen & Alice Kessler). Enormous scenery both of interiors and exteriors of the colossal cities, exotic locations, including the special effects for the destruction of the sinner cities by divine hand: all this realization was done following the approved rules of the Hollywodian cinema. 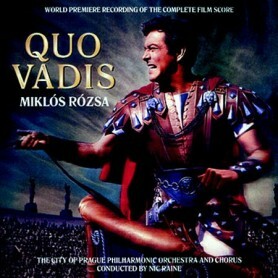 Rumoured is that originally composer Dimitri Tiomkin was called, but he was not available that time because of health problems and therefore he had been replaced by Miklós Rózsa to compose and conduct an original symphonic score for orchestra and choir to cover two third parts of the 155 minute movie. The score was recorded in the studio “A” of RCA in Rome in June 1962. Rózsa has always been a researcher specialized in world music history. In the case of “Sodom and Gomorrah” he had performed deep research into Yemeni and Babylonian Jewish music so as to create the dances and prayer songs for choir in their original language. 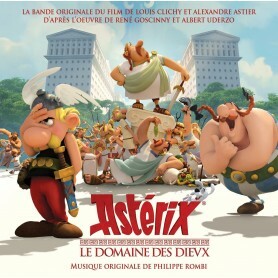 Thence the orchestral themes of pure fantasy are combined with motifs that have antique origins. For what concerns the OST discography of “Sodom and Gomorrah”, this score has been issued on 33 rpm long- playing record by RCA in different countries all over the world (Usa: Rca Victor LSO 1076 – Spain: Rca Cinematres NL 43755 – Japan: Rca CR 10023 – Usa: Citadel CT MR 1, album produced by composer Rózsa-expert Tony Thomas, containing six selections coupled with the score from 1968 movie “The power”). 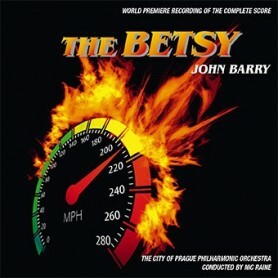 The first CD release of this OST in mono sound was issued on Cambria CD 1050 then the original American LP was reissued on the CD BMG special products/collectables COL-CD-6480 (DRCI-2634) in stereo. The first complete and stereo version was issued in 1986 on a double LP set (Legend DLD 1-2). The realization of our double CD Box de-luxe edition was made possible – once again – thanks to the generous help of C.A.M. 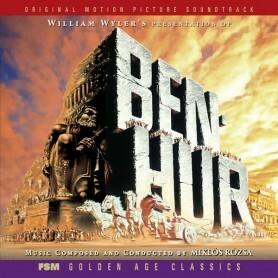 authorizing this reissue (with a total playing time of 111ʼ38”) of this memorable OST including the 6 rare bonus tracks discovered on the original session master tapes: 5 alternative choral pieces and a Jewish dance piece that were recorded during the 1962 session but not used in the final version of the movie. Despite careful digital restoration and remastering some anomalies pre-existing on the original sources remain.